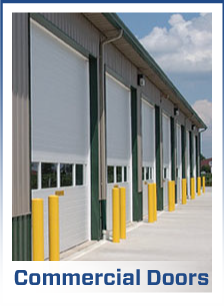 Taylor Door Co. is your commercial doors Detroit destination. For more than 30 years, Taylor Door Co. has been trusted for quality products and services in the Metro Detroit area. We do more than just give you commercial doors in Detroit. At Taylor Door, we provide premier service and give you advice you can trust on interior, exterior and commercial doors. If you’re in the market for commercial doors in Detroit, Taylor Door Co. offers reliable services and high-quality products. We are the commercial doors Detroit expert. Everything you need for quality door with functionality and style. Taylor Door Co. makes it easy–we’ll install, replace and repair. Check out our selection of commercial doors Detroit or work with us to create your own custom door! For the best commercial doors Detroit has to offer, Taylor Door Co. is the ONLY choice. Family owned and operated, Taylor Door is here to serve you. Make an investment you can rely on and choose the best commercial doors Detroit. Call 1-800- NEW- DOOR today or come in and see us at our showroom in Centerline, MI. Your new commercial door is waiting for you!